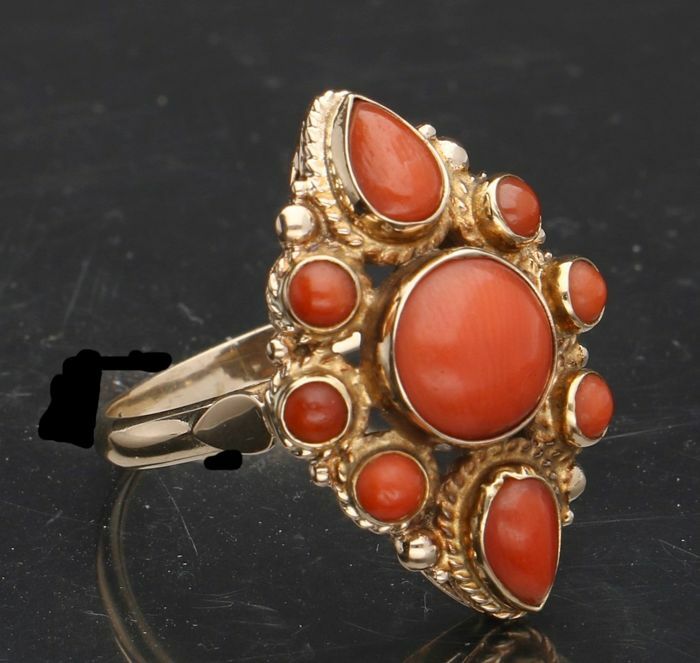 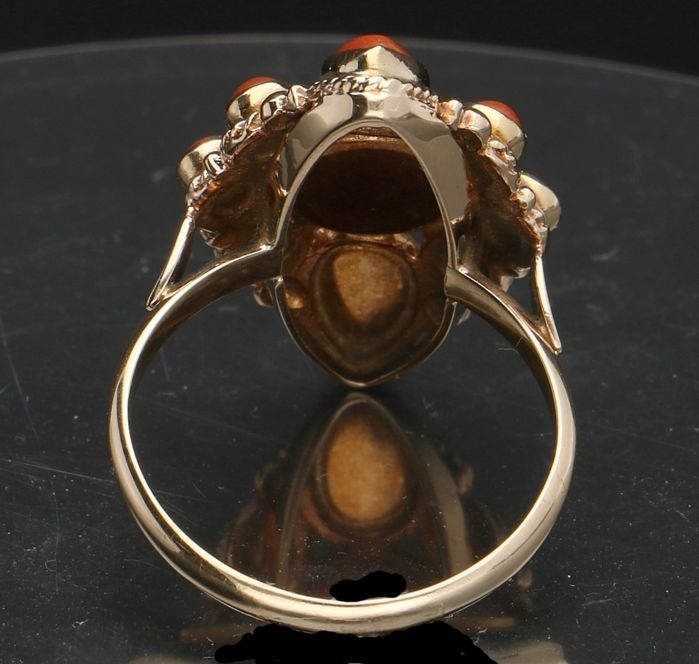 14 kt - Yellow gold antique women's ring set with a precious coral of approx. 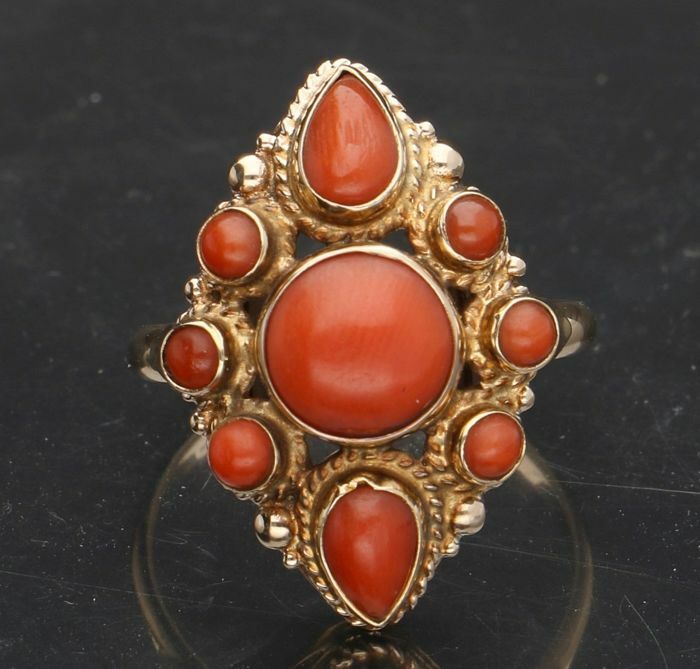 0.7 mm and surrounded with 8 smaller precious corals. 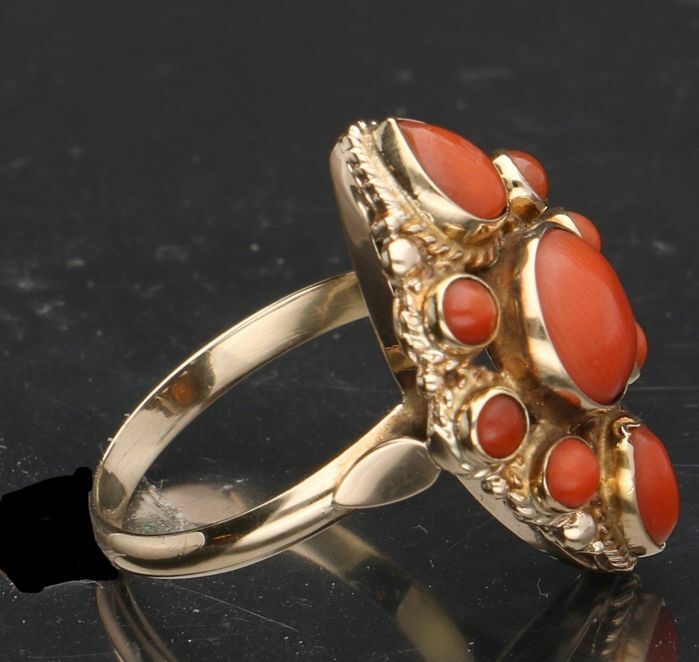 - Ring size: 17.25 mm. 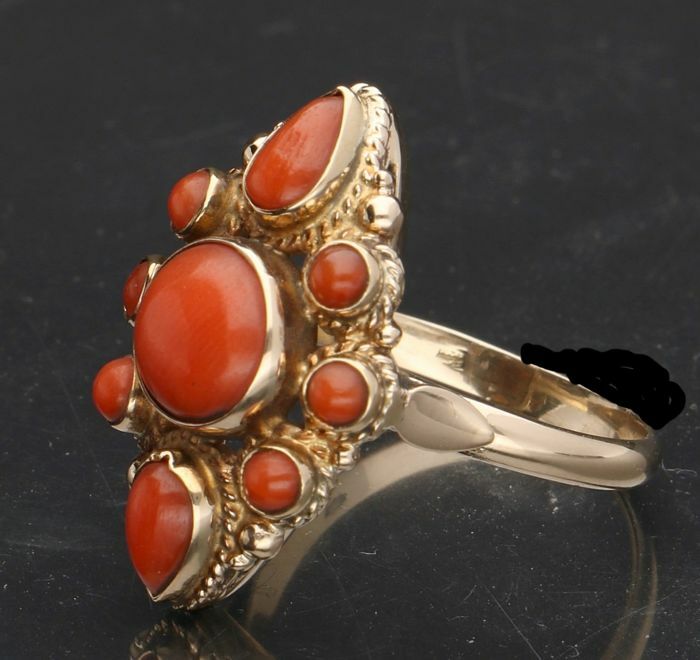 Yellow gold antique women's ring set with a precious coral of approx. 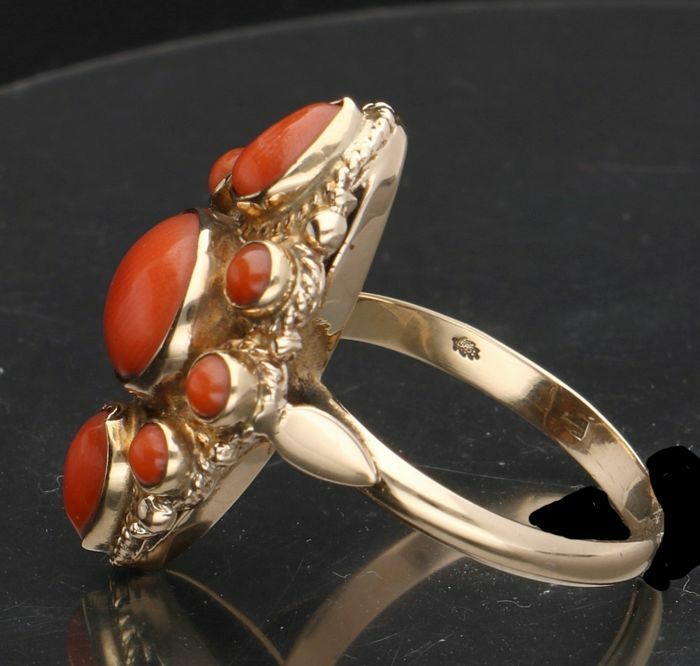 0.7 mm and surrounded with 8 smaller precious corals. 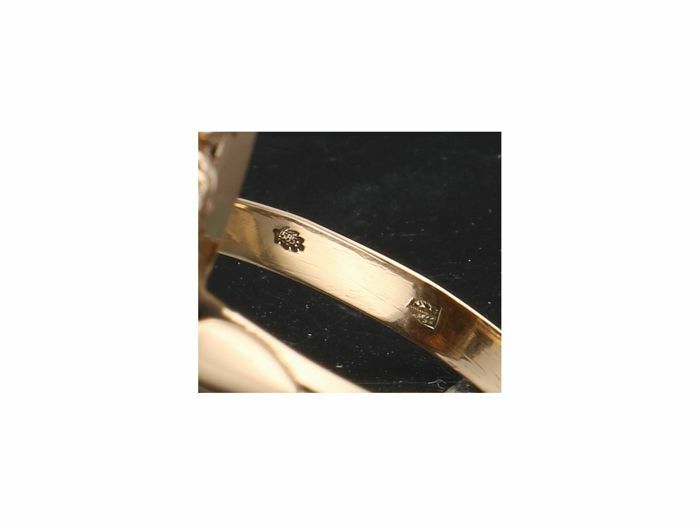 The gold grade of this item of jewellery was tested by our expert and found to be genuine.